"O Turkish Youth! Your first and foremost duty is to defend and protect the Turkish independence and the Turkish Republic for all eternity. All the mighty strength that you will need exists in the noble blood a-flowing in your veins!." On August 17, 1999, western Turkey was struck by a devastating magnitude-7.4 earthquake. Many thousands of people were killed, and many more made homeless by the quake that was centered near Izmit. 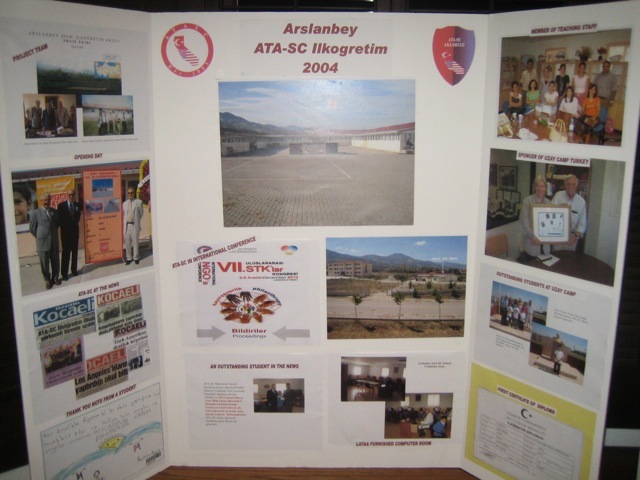 Contributing to the rebuilding process, ATASC initiated an effort in February 2003 to build a new school for the children of Izmit. The school admitted its first class on September 13, 2004. ATASC still continues to support its namesake school. 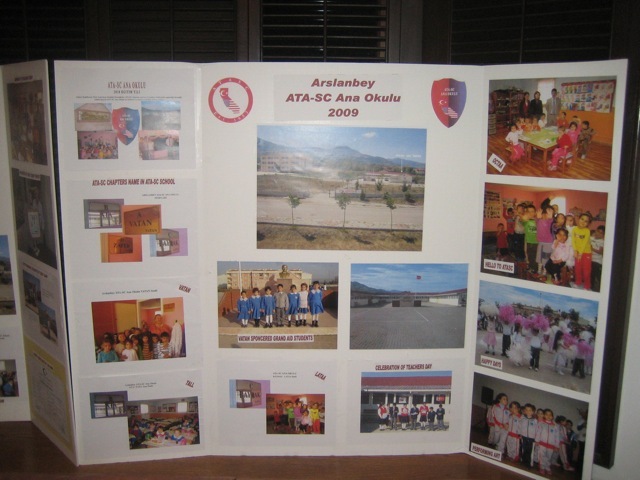 Since 2006, ATASC sponsored 13 needy children, helped send 6 children to Space Camp Izmir, opened up a Computer Lab and a Science Lab. Most recently ATASC helped the school to open up a pre-school by furnishing four pre-school classrooms named for ATASC chapters. VATAN Chapter is currently in the process of furnishing a conference salon for the students of the elementary school. CLICK HERE FOR PREVIOUS EVENT PICTURES! ATASC Celebrates BAYRAM. ATASC Bayraminizi kutlar. © ATASC Copyright 2009. All Rights Reserved.